So were you aware that October 22th was National Color Day!? Who knew that this even existed!? Well, last Thursday when I was looking through my e-mails, I had multiple messages regarding purchasing coloring books for adults. I was intrigued by this! When I was a little girl I loved to color; I spent hours in my room with my coloring book and crayons. I haven’t colored in years, so I started to do some research about this topic to see why adults color? I have read that coloring is stress relieving and provides comfort in adults. It acts almost as a distractor and keeps peoples’ minds off their pain or difficult things they are dealing with in life. It is also believed that coloring can help people express themselves when it’s difficult to explain with words. Coloring can also be used as a tool to help one focus in groups or classrooms. This is all very interesting to me, so I decided to purchase a coloring book for myself. Surprisingly, there are a ton of coloring books for adults out there to purchase. Most of the books I saw online were elaborate pictures with intricate details. I’ve seen under water scenes, flowers, random patterns, and animal coloring books just to name a few. For myself I decided on a flowered theme coloring book. 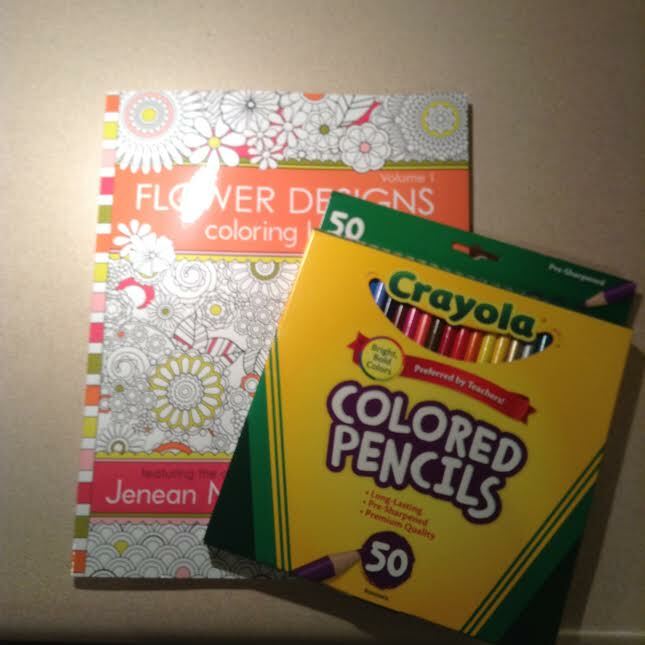 I received my coloring book and a box of colored pencils in the mail this past weekend, and I couldn’t wait to start! This past Saturday was a cold and rainy day where I live, so it was a perfect day for coloring. I opened the book and it had a ton of pictures with flowers and patterns in all shapes and sizes. After I finally decided which picture I wanted to start with, ironically, I became very overwhelmed and stressed out. Because the pictures are so elaborate and detailed oriented, I was stressing out on what color to start with and what colors matched (it also didn’t help that I had 50 different colors of colored pencils to choose from)! HA! After I had a game plan of what colors I wanted to use, it was fun! I was home alone when I did this, and before you knew it, I colored for an hour straight! I even colored a little bit on Sunday night because I wanted to finish my picture. I’ve already picked out my next picture to color and can’t wait to start! For me, I would describe coloring as relaxing and calming. It completely distracted me from my thoughts, worries, and every day life. I can definitely understand why researchers believe that this can be stress relieving. Have you ever purchased a coloring book for adults? Thoughts? Feel free to comment below.